There are always intriguing matchups in the NBA and this week is no different. Here is a look at the players to take a close eye on based on the teams they’re playing. 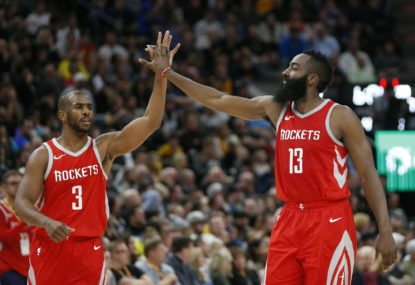 Last season, behind ‘point gods’ James Harden and Chris Paul and a disciplined, mean-spirited defence, Houston emerged as the Warriors’ most formidable opponent since Steve Kerr brought modern basketball ideas to Golden State. Right now, the Rockets need to worry more about making the playoffs than challenging Golden State. Troublingly, Paul has been perhaps the biggest issue, with the worst shooting percentages and highest turnover stats of his career. He looks sluggish, unable to create the separation that came so easily to him last season. Before he was effortless, now it looks like a lot of effort. He’s shooting 31.7% on pull-up threes after being above 38% the previous two seasons. 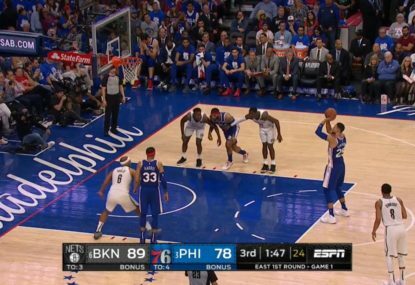 Likewise he’s only hitting 35% of his wide open threes after typically being above 40%. Those numbers should regress some, and with it, Paul’s efficiency. But they might not come back all the way – Paul will turn 34 in the playoffs. If Paul is now merely ‘good’, and the superstar version of him is gone, then the Rockets have bigger problems than replacing Trevor Ariza and washing out the sour taste of Carmelo Anthony. DeAndre Jordan and the Dallas Mavericks have had a complicated romance. 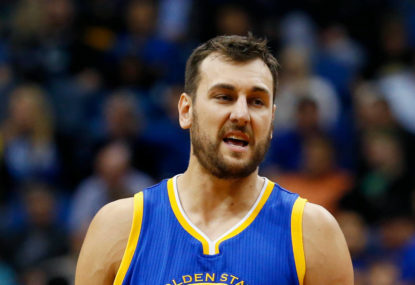 The Mavs famously courted him in 2015 and he left them at the free agency altar, cruelly and comically. Dallas got their man this year but it’s looking like it was, fittingly, three years too late. Jordan quietly took a step back with the Clippers last season and he’s continued that downward path this season. The Mavericks have been 11 points per 100 possessions better with Jordan on the bench. His basic numbers look sufficiently DeAndre Jordan-esque, but look deeper and it’s clear that he’s not the player he once was. He doesn’t block shots anymore (just 1.0 per game) and doesn’t crash the offensive glass like he used to (2.6 offensive boards per game this season after not being below 3.5 since 2013). He does steal defensive boards plenty well, though. Until now, the idea of Myles Turner has been a lot more impressive than the reality of Myles Turner. Turner has been an inconsistent, sometimes breathtaking, often anonymous player, subject to the growing pains that afflict most young NBA big men. Not lately, though. A star going down allows others to shine, and Turner’s star is finally emerging in Victor Oladipo’s absence. Turner is averaging 14-9-2 with a monstrous 3.3 blocks per game since Oladipo went down, with the best plus/minus on the team. He is the second most important Pacer, and now he’s playing like the second-best Pacer. The jump shot has always been fluid and effortless, his range unquestionable. His offence is becoming more dynamic and he’s finally crashing the boards. However, it’s the defence that makes him special. Often a highlight block chaser, Turner is now getting his blocks in the flow of sound defence and positioning, staying solid at the rim. But the highlights are still there – just ask poor Bradley Beal, who was swatted twice by Turner early in Washington’s loss at Indiana, the first one particularly absurd: after beating Turner off the dribble and getting a step on him, Beal thought he had an easy lay-in waiting, but all that was there was a basketball funeral; Turner’s speed, jumping ability and size combining in one cruel, magical leaping swat. Are we ready to talk about Paul George as an MVP candidate? George has been the clear best player on the number one seed in the West, the most important cog in the best defence in the game. His length, vision and pointed timing give OKC their defensive identity, a turnover-forcing machine of mean limbs leading to wrecked passes. 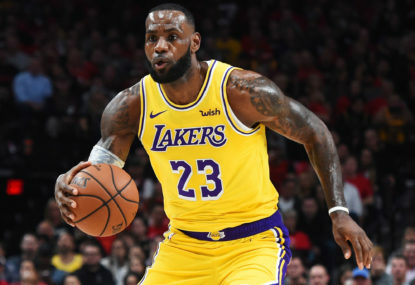 George is averaging 24-8-4, slithering his way to efficient shots, hitting more than three triples a game and getting to the line 5.5 times. 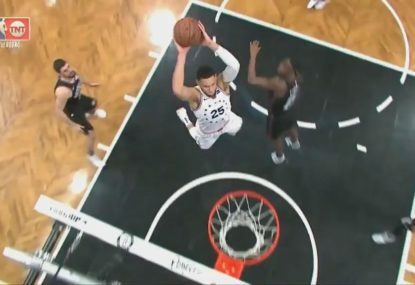 He kept OKC afloat in Russell Westbrook’s absence and is as hot as any player in the NBA right now – 47 points in Brooklyn was quickly followed by 31 on just 10 shots against Utah. OKC is looking like Golden State’s biggest threat in the West right now and George is the biggest reason way. Before trading for Kyle Korver, the Jazz were a mess on offence, with Joe Ingles the only player who could hit a shot. Ricky Rubio, Derrick Favors and Rudy Gobert aren’t respected by defenders on the perimeter – add in the clunky shots of Royce O’Neale and Dante Exum and there wasn’t enough space on the floor for the Jazz. 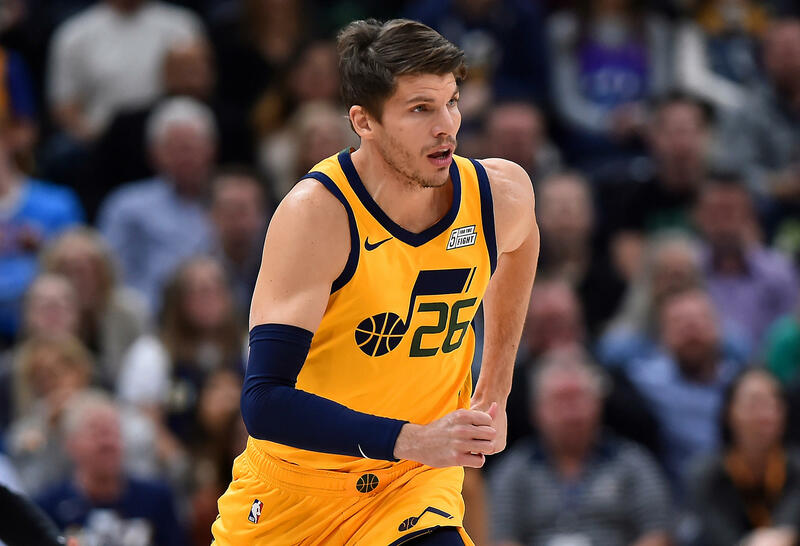 Enter Korver, one of the oldest players in the league, brought in to provide the Jazz with a spark of life. Utah looked to have righted the ship in Korver’s first four games, before crashing back down to earth in losses at San Antonio and OKC. The Jazz are deep, but they’re deep in competence, not excellence – this season they have fallen apart whenever Gobert hits the bench. The idea of Korver makes perfect sense. Offensively, his presence lets the court breathe when Utah have the ball. 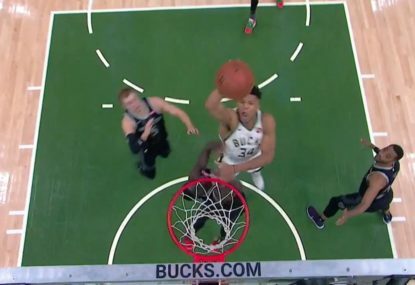 Defensively, he can’t stop anyone, but he knows where to be and has Gobert or Favors behind him. A barometer for Utah’s season going forward will be how long they can keep Korver on the court, and how much he can unlock when he’s on it.